Welcome to Excel, where we do not just focus on getting you out of pain, but keeping you out of pain for life. You deserve to live to your fullest potential! At Excel, we help correct spinal misalignments for the entire family! Structural chiropractic care is safe and comfortable for all ages! 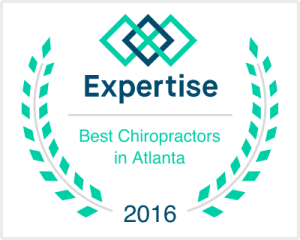 Excel Chiropractic is one of the only structural chiropractic clinics in Georgia. Here, we focus on correcting structural shift and misalignments to restore proper shape, structure, and function in the spine and nervous system. At Excel, we focus on serving the people of Atlanta with exceptional care and a one-of-a-kind experience. Here, in addition to reducing your pain, we focus on correcting the cause of the pain and restoring proper structure and function. Come in today and let us help you experience life to the fullest! Schedule a Complimentary Consultation so we can provide you with information and answers to any and all questions you may have. Remember, at Excel Chiropractic, a consultation is only a conversation, not a commitment. Let us help you live the life you deserve--one without pain and dysfunction. Our bodies can become misaligned through traumas we endure, toxins we breath and ingest, and the stressful thoughts that go through our heads during the day. Contact us to begin your journey towards health and vitality. You deserve it.